So our half-brothers out-of-wedlock twice-related, Kotaku, received a tip this morning saying that today the Xbox manufacturing would be stopped—most likely to pave way for the 360. The tip mentioned that Microsoft had no intention to keep the Xbox v1.0 any longer and would turn it into a bargain bin console. The Kotaku sleuths contacted Microsoft to further inquire about this rumor in which Microsoft responded by dodging the questions. 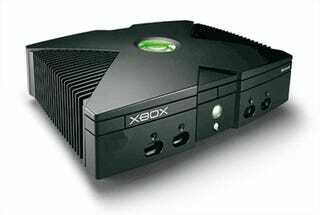 They said the Xbox v1.0 plans remained unchanged to sell units into 2006, but they ended the response by mentioning that they do not provide any manufacturing details for their consoles. R.I.P. Xboxen v1.0?